A little while back we were sent a game. 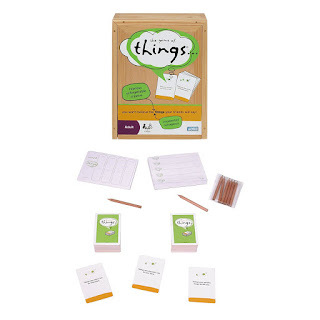 This game was called The Game Of Things, at first I thought it was maybe based on that TV show that sounds similar. Of course it wasn't and I was glad as I don't watch that show (I know where have I been? Why not?) and it would of made it really difficult and not much fun. Anyway let's get on with talking about it. Let me just tell you about the packaging and the fact that this game comes in a wooden box! I love that it comes in a wooden box as for me it makes the price a bit more justifiable, not that this game is majorly expensive compared to other on the board game market £32.99. The box isn't covered in loads of pictures or words it's simply basic but nice. Inside the box you will find everything you need to play the game, pencils, note pad's and the playing cards. The concept of the game is to basically guess who wrote what. You have one person who read's out a description on the card 'Things you shouldn't laugh at' and then you all write an answer down like for this I could write seeing your child drop their ice-cream. Another example is 'Things you shouldn't say to your boss' someone might write 'How about you go and do some actual work'. FYI I have tamed my answers right down as one thing I noticed whilst playing the game with my mum and two teenage sister's is that we used murder a lot in our answer's. Of course our answer's were really amusing to us and on one description we all wrote the same. My sister was in charge of taking note of the score's but we scrapped the score keeping as it was just so much fun and we didn't really care who won. I would say this game would be great for teen's and those heading off to uni, I'm sure they could come up with a way to turn it into a drinking game. I recommend it for that age as it is a more social game and not one you can just grab out the cupboard if you want to play a family game. *** The Game Of Things was sent to www.jadeslongjourney.co.uk for the purpose of a review. 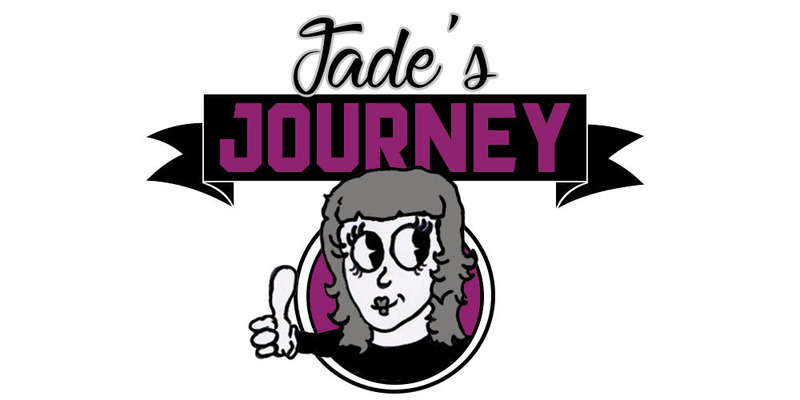 This review is based on my honest opinion of the game after having played it. All thoughts are solely based on what I think.